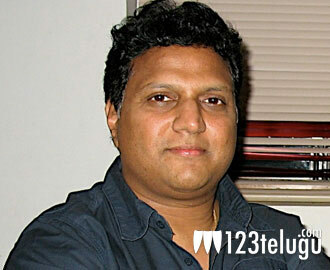 Mani Sharma for SVSC background music? Veteran music director Mani Sharma has a knack for coming up with superb background scores for films. He proved his talent recently with ‘Krishnam Vande Jagadgurum’, where his work really elevated the film. Now we are hearing a report that he is being considered for the background score of ‘Seethamma Vakitlo Sirimalle Chettu’. The decision is yet to be finalized and we have been told that the production team is considering this move to speed up things for a January release. Mani Sharma has a good track record when it comes to delivering effective background music at lightning speed. Post production activities are going on at a feverish pace for this Victory Venkatesh and Mahesh Babu starrer. Venkatesh has completed about 80% of his dubbing work while Mahesh Babu is expected to wrap up his part in the next couple of days. Samantha and Anjali will be seen as the heroines in the movie. Dil Raju is the producer of this prestigious project and Srikanth Addala is the director. Micky J Meyer has composed the music for the film.